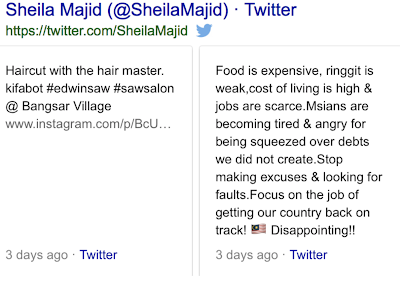 I have come to believe that what Sheila Majid wanted to do, actually, was, really, to champion a cause. Like a lot of Hollywood celebs have been doing. Unfortunately, her tweet the other day on soaring cost of living came out all wrong. She came across as unduly critical of a government whose policies have actually helped improve the people's welfare, especially those in the lower-income bracket. 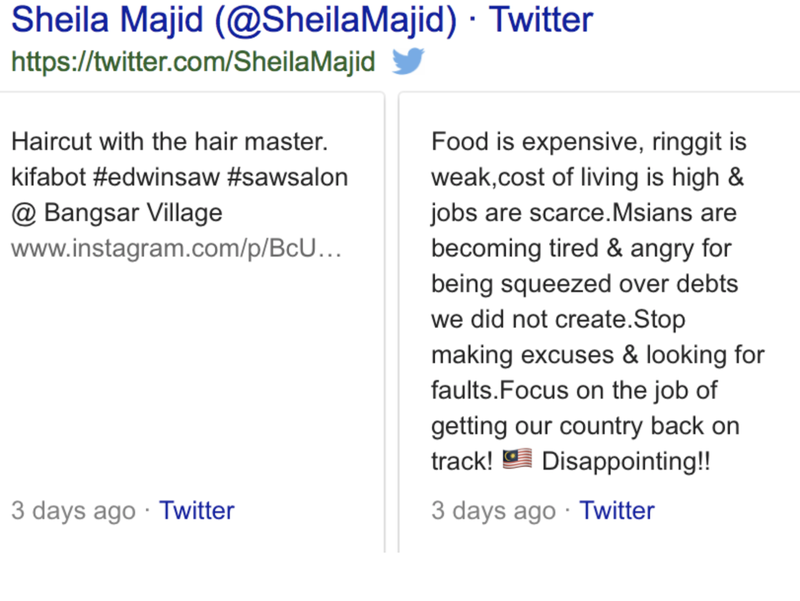 And, unfortunately times two, her tweet was used by Mahathir and Co as proof that "yet another icon has spoken up (against the Najib administration)". Cheap shot, but they have nothing to lose in trying to bring down this government, so why not? Pro-Najib supporters were also unnecessarily harsh towards Sheila, if you ask me. Like a seasoned journo wrote in her FB, the jazz diva may be all-class when she sings but she ain't that smart. 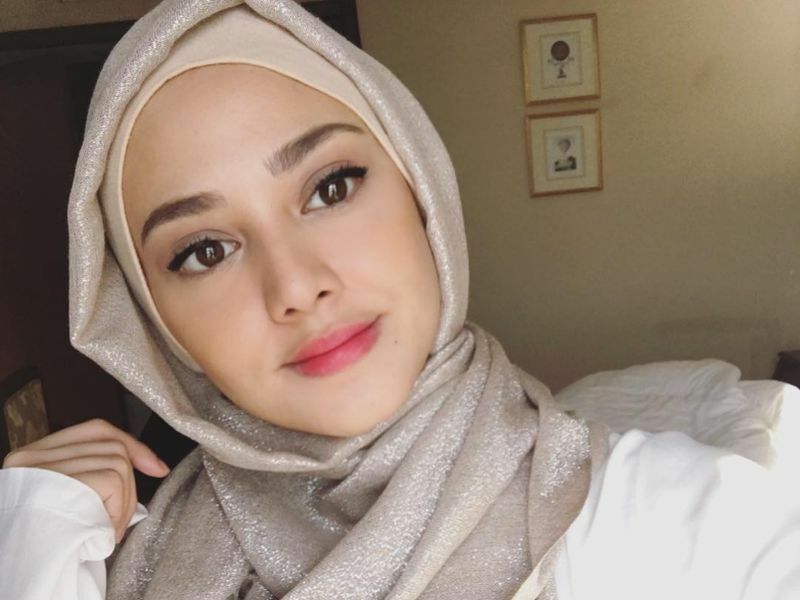 That partisan politics is ugly and manipulative is probably beyond Sheila or the likes of Siti Nurhaliza and Nur Fathia Abdul Latif, both of whom have also recently put their feet in their mouth in their attempts to be political. Candidate for Pekan at GE14? I say let those celebs who want to rant on their social media do so. But their managers must do their job and tell their stars that they can actually champion a good cause without looking silly or, worse, stupid. Or without being partisan (unless, of course, they have political ambitions) because that will surely isolate a lot of their fans. If Sheila is concerned that her fans are spending too much of borrowed money, advise them to be thrifty and to say NO to their desire for what they could hardly afford (like the iPhone X which, incidentally, has become the best-selling iPhone model despite the nearly RM6k price tag, so much for and Sheila's complaints about the government and rising cost of living). Sheila doesn't have to be super smart to give a good advice and because she's an icon a lot of people will listen to her if she's got something good to share. 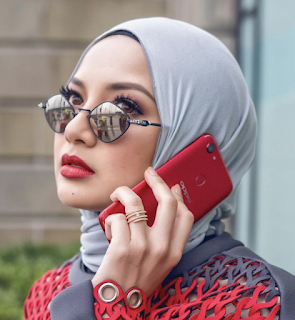 In any case, I'm not too concerned about Sheila or Siti Nurhaliza or even less so Fathia because I am not a fan (I did buy Sheila's album Legenda in the early 90s because it of P. Ramlee's songs and I had never heard of Fathia before this). I am Awie, Amy Search, M. Nasir and, of course, Ramli Sarip kinda guy. I dig Joe Flizzow even though I am not into rap. And am forever in awe of Ella and Yuna, too. 2 posts in 2 days? Biar betul! "Like a seasoned journo wrote in her FB, the jazz diva may be all-class when she sings but she ain't that smart." Hmmmmm, I would argue the opposite. You wouldn't believe the kind of dedak-blinded morons who keep trying to pretend that the world's worst kleptocrat (thanks Jeff Sessions) isn't robbing us blind. PS: As a complete side note, Latuk, you think Sheila understands SWIFT codes or not? Sheila Majid should have expressed her concern that rising prices do burden the rakyat, especially the lower income group. I believe that this was her intention but the way she said it made it look like she was speaking only for herself. Prices have risen because the Malaysian ringgit has been weak vis-a-vis the U.S. dollar which currently is the currency used in international trade and the price of goods including food, even if produced in Malaysia, still is affected directly or indirectly by the prices of the various inputs, including machinery used in producing the item and if a sizeable enough proportion of the inputs are imported,then a weak ringgit will result in higher retail prices. The ringgit exchange rate closely follows the price of Brent Crude oil and the ringgit has been strengthening gradually against the U.S. dollar over the past 12 months in tandem with the price of Brent Crude. Therefore it is time for the government to act to bring down the prices especially of essentials to a more realistic level. Saya pernah anjur konsert @ a stadium for a worthy cause dan jemput Sheila Majid. Nothing political about Sheila. Cuma mulut dia mcm mulut bawah dia dari dulu lagi!!! Freedom of speech is a principle that supports the freedom of an individual or community to articulate one's opinions and ideas without fear of retaliation, censorship, or sanction. It's her twitter account for God sake. Siapa makan cili rasa la pedasnya. Really Bro Rockybru... dulu hang best. la nie.. ntah laa..
we need voice of reason... regardless of what... agree to disagree, disgaree to agree..